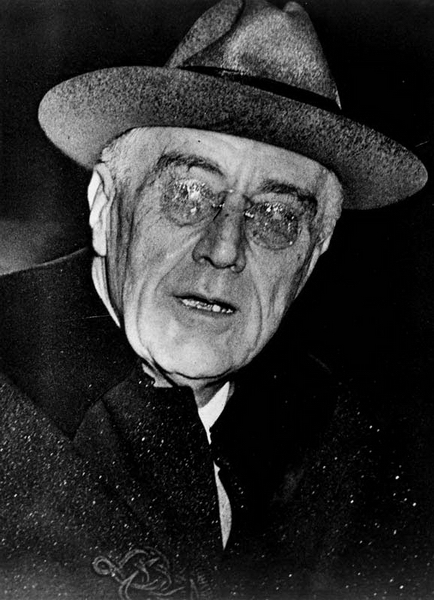 World War II dominated the course of this election. Allied victories gave people hope. Many voters did not want to risk changing leaders until the war was over. War had brought the nation out of the Great Depression. Democrats took credit, urging voters not to steer the country back to Hoover's time. Dewey found it difficult to counter voters' desire to stay the course. 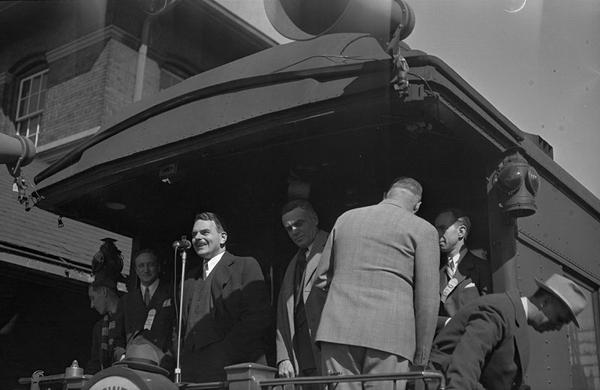 Thomas Dewey aboard his campaign train in Baraboo, WI, 1944.